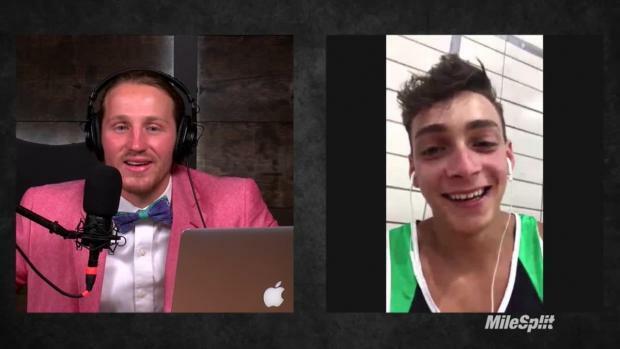 Before Brandon Hanoch was even old enough to realize where pole vaulting would fit into his life, the Tulsa born athlete was hanging around pits and runways with grandfather, John, and his father, Jeff. Many decades earlier, John had cleared 13 feet at Tulsa Rogers High School in Oklahoma, back when pits were filled with sand or sawdust. Decades later, Jeff followed in his father's footsteps and cleared 16-2 at Tulsa Claremore, claiming a school record that still stands today. Then Brandon's old brother, Austin, followed both the men in his family, hitting 14-7 at Broken Arrow High School just a few years earlier. In total, six members of Brandon's immediate and extended family vaulted before he came of age in the sport. So, yeah, he believed it made sense to try his luck at it once he hit high school. 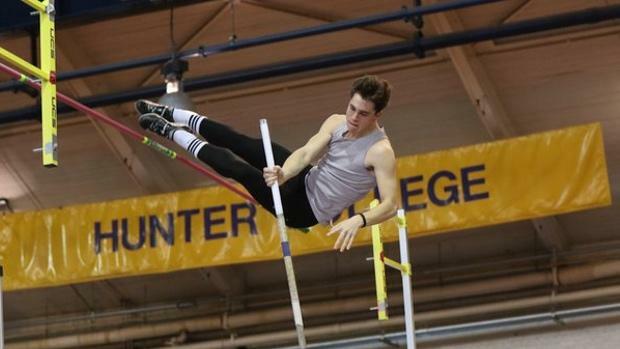 "I was always going to pole vault because my dad and grandpa did it," Brandon said recently at New Balance Nationals Indoor, where he cleared 14-4 in the championship flight. "That's how it got started for me." 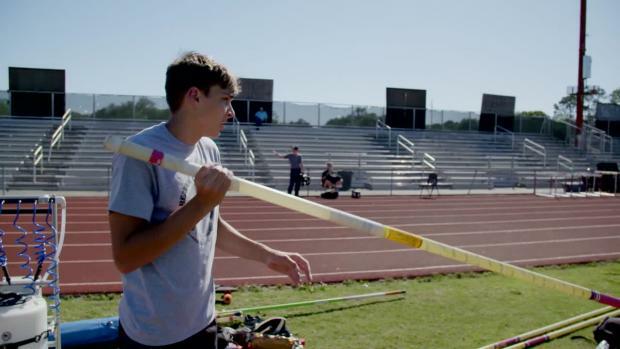 History has shown that great pole vault athletes can come from generations of talent. 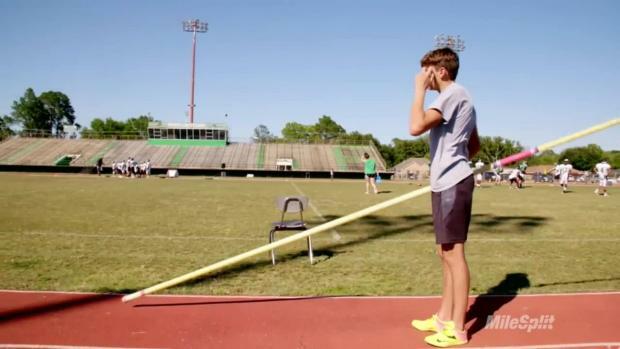 Mondo Duplantis, for example, was taught by his father Greg, who vaulted at LSU. 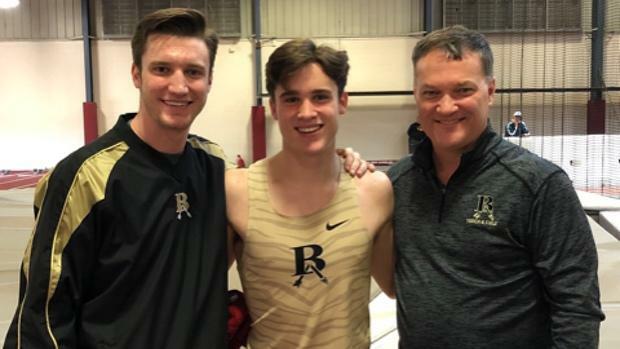 Riley Richards' father Brandon, meanwhile, is the pole vault coach at Baylor and his grandfather, Bob, was a two-time gold medalist in the discipline, so it's probably not a surprise that he turned out well -- Riley is currently at Baylor under the purview of his father. Sometimes you just follow what's been set before you. Brandon's grandfather was competing in the sport as late as in his 50s, and he was still clearing 13 feet. "We did summer track as a family," Jeff said. "We'd actually take family vacations to go to track meets." And yet, this story wouldn't be what it is today without Brandon's recent ascent into his father's career best territory. This indoor season has told a very different story for the Broken Arrow senior. Up until three years ago, Hanoch was barely clearing 13-feet. As a sophomore, he glided over the bar in a PR of 13-6. But Hanoch started to buy-in to the concept as a junior, hitting higher heights before earning a fourth-place finish at states with a height of 14-0. Indoors has led to even more success. Brandon cleared 14-6 in his first indoor meet in Arkansas, then PR'ed again a week later. He hit 15-feet twice the week after that and in fact has gone 15-feet three times over the course of the season. Nothing, however, compared to the run of good clearances that Brandon managed on March 1 at the Owasso Invitational. Hanoch started to feel a rhythm almost immediately, scoring a run over 15-1, then another over 15-7, then again at 16-feet. Three straight PRs in the same meet? "I was using the same poles," he said. "And stuff started to click." Hanoch said later he didn't really change anything. He was still using a 14-6 pole with a 5.1 inch flex. His run was still eight lefts. Maybe it was a great day, but Jeff, who coaches Brandon along with Broken Arrow's two coaches -- who both vaulted at Oklahoma -- believes it was a simple adjustment before the season. 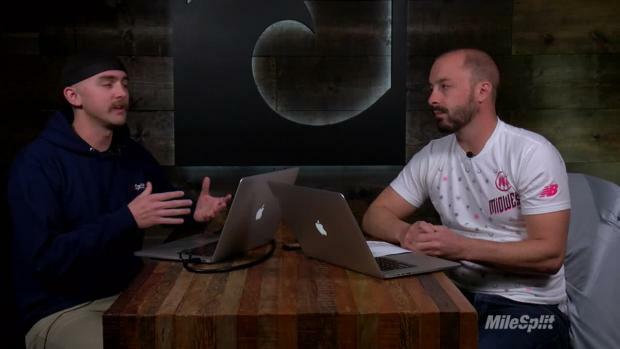 "We added a checkmark with where he starts to his run," said Jeff, who eventually went on to the University of Oklahoma, where he cleared 18-0 in college. "That really made him more consistent. It's tremendously helped that run." A funny coincidence happened following his 16-foot clearance, too. It was reported wrong ...higher, in fact. And that worried, Jeff, who in had his career best in high school back in 1985 reported six inches higher. Back then, that misreported number ended up all the way in Track and Field News as the third best mark that season. "I always felt like I was getting credit for something didn't do, so I felt a little inferior," he said. 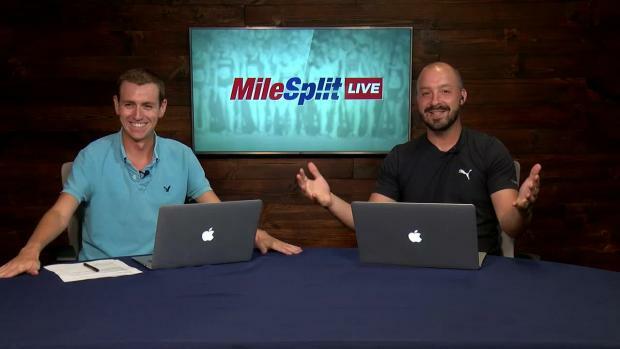 Luckily, the internet exists now, and Brandon's mark was quickly updated on MileSplit. 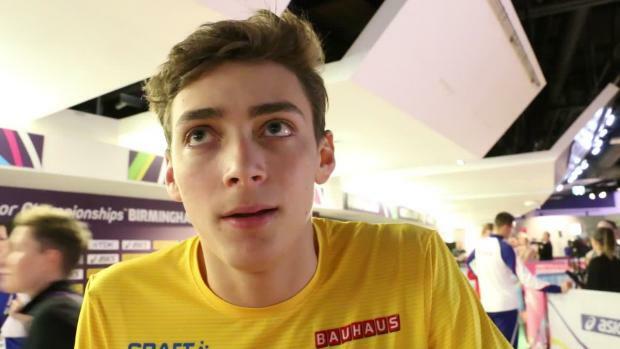 Now the senior, who's unsigned and has PR'ed eight times in eight meets, would like to improve his marks to attract some interest from college coaches. He says he's moving up to a 14-9 pole soon. "I think I can jump higher," he said. "But I will be happy if I can hit 16 again." At this point, a couple more inches would give him the family's high school PR, too.